I’m someone who is already prepping for Easter. My children get inundated with candy. Understand what I am saying. My husband and I are both only children. Natalie, Liam, and Caleb… are THE ONLY GRANDCHILDREN on both sides. This means they get everything. So, whenever the holidays come around, I like to get a little creative with my gift choices. I mix things up with fun non-candy idea for Easter baskets that I think the children will enjoy as well as some of their favorite treats. I mean… what is an Easter without Peeps, right? LOL! But if you are in the market for some great non-candy ideas for Easter baskets, I wanted to get your mind in the right direction. 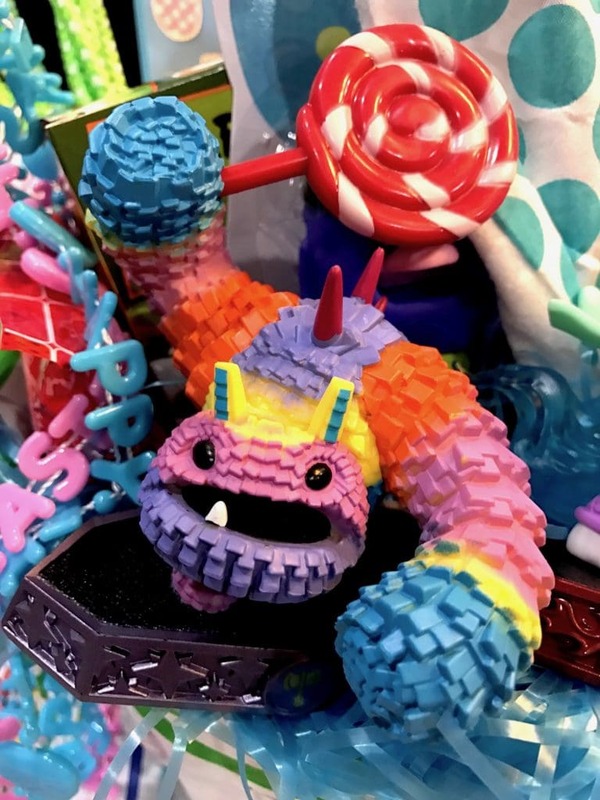 Whether you visit your local dollar store, big box store, or hit up their favorite toy aisle, I have something for you. I like to buy small baskets and then overstuff them because it gives the illusion that the kids are getting a lot of goodies. Oversized baskets with the same exact amount of goods just don’t give off the same vibe. Call it marketing. LOL! So, pick up a small or medium-sized basket, fill it with some grass and let’s get started. Here are our ideas for your child’s easter basket besides candy. Easter related jewelry – I love the Happy Easter saying I found and for one $1! Bunny Ears! I mean… come on! Gag gifts – I bought my son fart putty. Don’t judge me. He will love it. If you have a girl, you can get some makeup wipes or a new nail polish. Something fun for her to play with and experiment with. 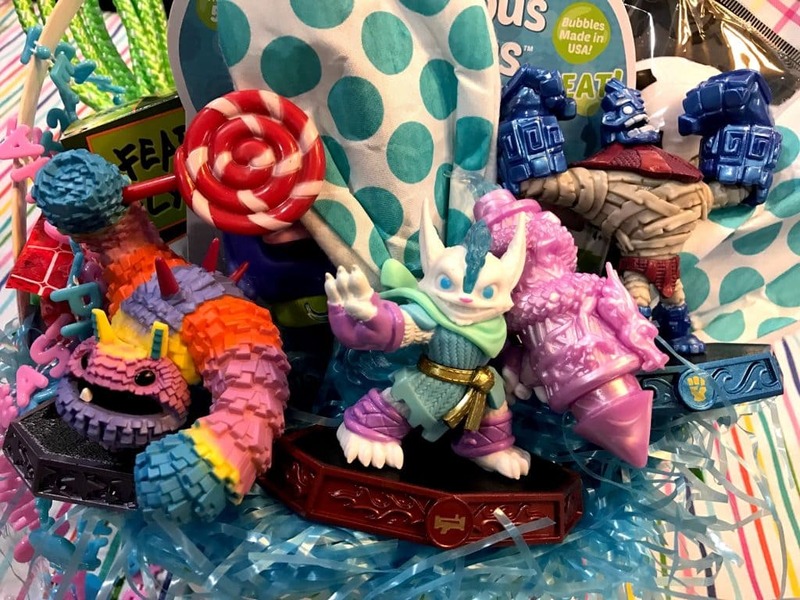 Skylanders! Just in time for Easter, there are a few new players in the game. 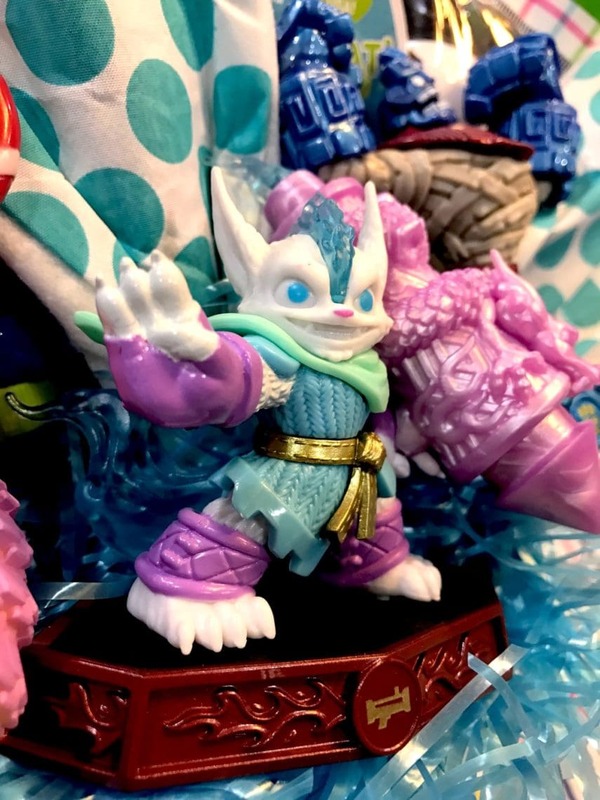 The great thing about these Skylanders is that they aren’t machine specific. That means if you are heading to friend’s house who doesn’t have the same console as you, you can bring your pieces along. LOVE IT! 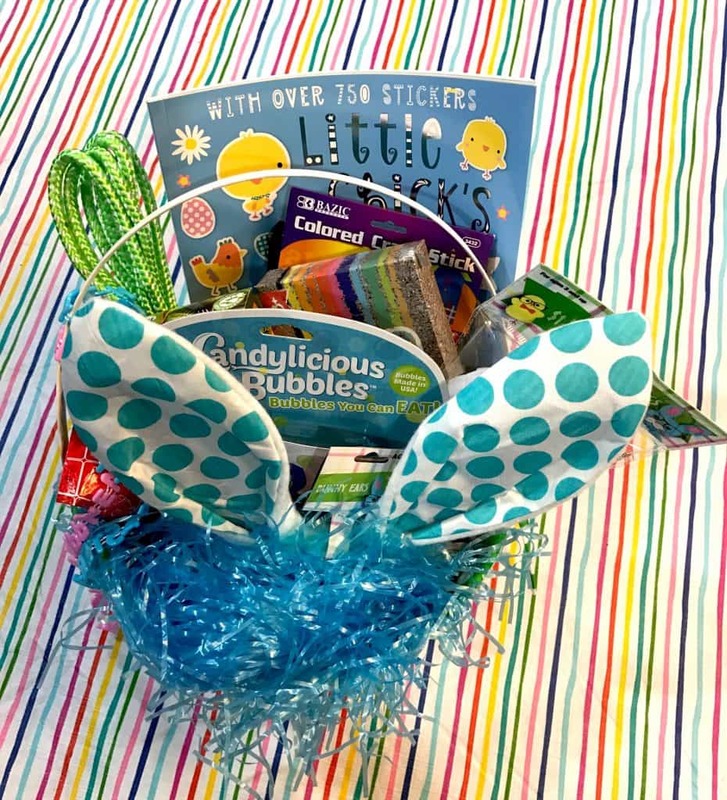 Ideas for your child’s Easter basket besides candy that are shareable. 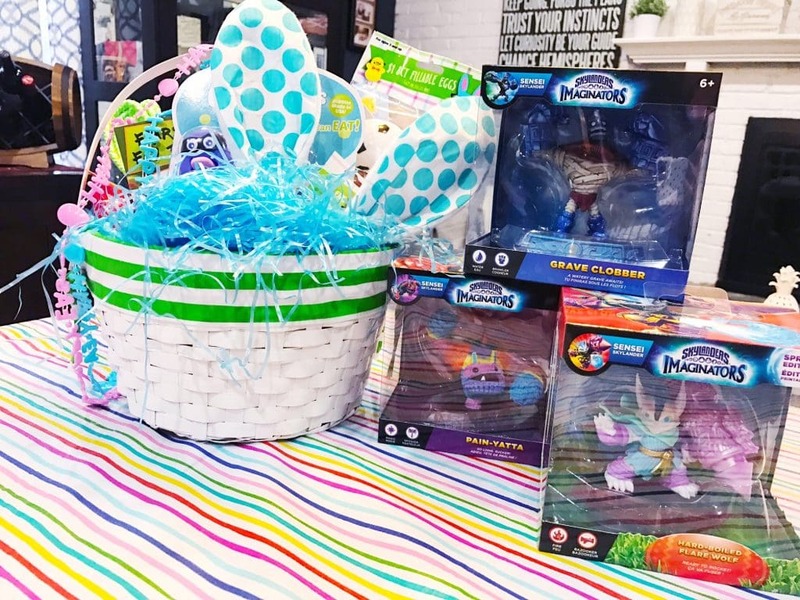 What do you think about these non-candy ideas for Easter baskets? 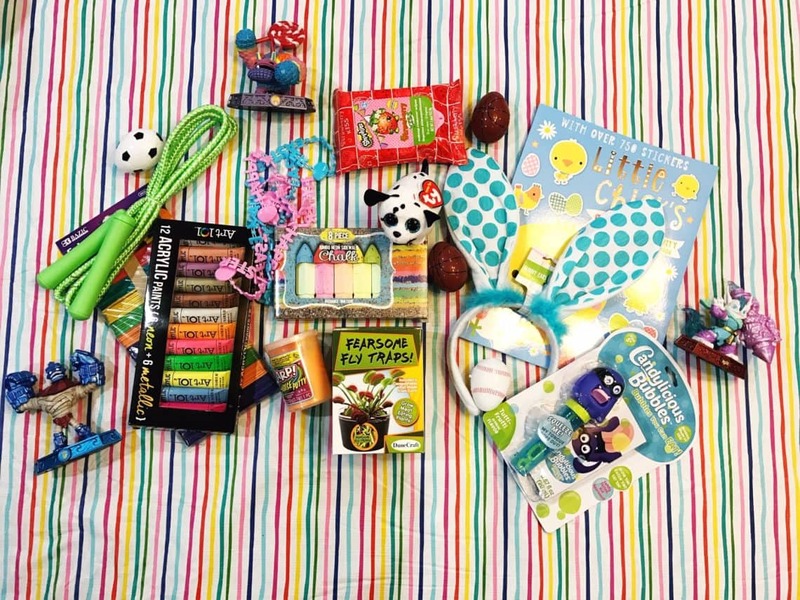 Are you going to add any of these ideas to this year’s Easter basket? Any other tips you’d like to share with me? Would love to hear your non-candy ideas for Easter baskets.